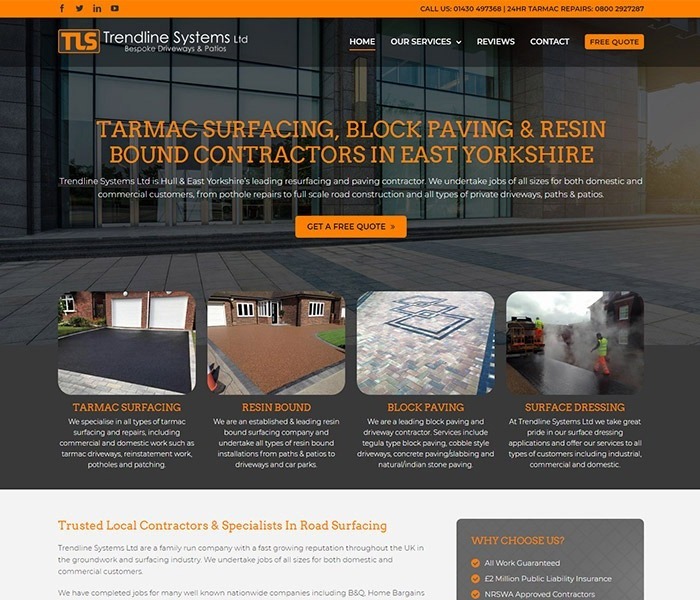 As well as managing the organic SEO for Trendline Systems, we also set up and manage a Google Adwords pay-per-click campaign for them so that an advert for their business appears in the paid ads at the top of Google when people are searching for surfacing contractors in the Yorkshire region. Their website works very well for them and the traffic they generate from both their organic listing on Google and their paid advert ensures that they get lots of enquiries from potential customers on a daily basis. Is your website not currently ranking well on search engines? Enter your details here for a free no-obligation SEO check. We will take a look at your website and tell you how we can help! We are proud to be a Google Partner company. Hover over the badge below to see our specialist areas. Need your website redesigning or a new one building from scratch? Check out our sister company, Get Noticed Locally.